Check out our updated Best VPN for Windows guide for 2019. Windows is the most popular operating system in the world so there’s a good chance your computer or laptop is running Windows. However, Windows isn’t the most secure system and it doesn’t support some of the best VPN protocols such as OpenVPN. For that reason you need a VPN for your Windows system, but which VPN do you choose? With well over 1000 different VPN providers across the world, knowing which is the Best VPN for Windows in 2018 can be tricky. Apart from wasting your precious time and hard earned money, it’s impossible to test all of the choices. Luckily we’ve done the hard work for you. We’ve been testing a host of some of the most well-known VPN services over the past few months to find out which is the Best VPN for Windows in 2018 and we’ve rounded up our Top 5 Choices below. All that’s left for you to do is select one and sign up. Our Best VPN for Windows 2018 is NordVPN and it’s no surprise as they’ve been improving at pace over the past few years. We really like the simplicity of their Windows interface. After logging in you’re presented with a world map, from here you can easily select a server location and connect. In total a few seconds to go from unsecured to secure. If you like a little more choice then a range of “Speciality Servers” are available such as Anti-DDoS, Dedicated IP, Double Hop and more. A nice feature is the CyberSec option that helps protect your Windows system from Malware, Phishing and more threats. As this isn’t a feature offered by all VPN providers it means you get more for your money. You can also use the service on up to 6 devices at the same time allowing you to protect your other Windows devices or devices of another kind all with the one NordVPN service. VPN software should be simple to use and this is what CyberGhost VPN have concentrated on with their Windows VPN client. CyberGhost VPN Windows client does things a little differently to most other Windows VPN software which is why they’ve made our Best VPN for Windows 2018 guide. Instead of the usual map or server list, the software allows you to select servers based on usage. Options such as Surf Anonymously, Unblock Streaming, Torrent Anonymously and others are available. If you’re a new user this feature is extremely helpful and lets you connect based on what you want to do. You can also manually choose a server either from country location or individual server. There are a few advanced options but we mostly recommend CyberGhost VPN for ease of use on Windows if you’re a beginner. IPVanish is our Best VPN of 2018 and they’re Windows VPN client is also one of the best available. While the interface isn’t quite as visually appealing as either NordVPN or CyberGhost VPN it does have more options than most. If you like to tinker around with settings then you’ll be in your element here. Unlike many other Windows VPN clients, IPVanish allows you to select between VPN protocols including OpenVPN, L2TP and PPTP. There’s also a Kill Switch, DNS Leak Protection and IPv6 Leak Protection. So you could say IPVanish has the overall best selection of options for any Windows client. There’s more than enough options on the Windows VPN client but it’s also easy enough to use for all abilities. Most importantly IPVanish has a completely no-log policy ensuring that your online usage remains private. VyprVPN is the daddy when it comes to Windows interfaces for VPN clients. Although their client hasn’t changed for a good number of years now they were essentially the leader in excellent Windows VPN client design and there has been no need to change since. Connection using the Windows VPN client is simple. Just press the location icon, select a server and then hit connect. VyprVPN Windows client will be suitable if you like it to take up minimal space on your desktop. While most VPN clients are large affairs with location maps, the VyprVPN software is much smaller and easier to hide in the corner of a screen. This is especially useful if using on a Surface device with a smaller screen than a regular desktop. The best feature of the VyprVPN service is they let you test it completely free for 3-days which isn’t available from most other providers. VPN.ac for the longest time had what would be considered a slightly ugly Windows client. However, this all changed at the tail end of 2017 with their newly launched Windows VPN client. The Windows client now sports the same layout as the other range of VPN.ac apps such as the Android app. This is an excellent idea because it means usage is exactly the same no matter what system you use. The Windows client is small, similar to the VyprVPN software and while the main screen deals with quick connection only there are plenty of advanced options hidden inside. A host of options including a Kill Switch, special mode for China, encryption and port options plus more are available in the settings area. The Windows client is easy enough if you’re a new-user but advanced enough if you want to tinker around with settings behind the scenes. 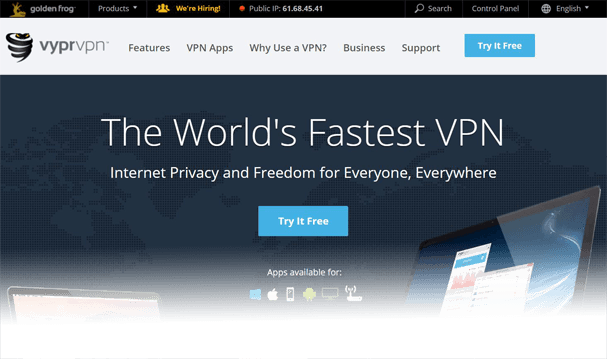 Developments change fast in the VPN world and clients for Windows devices are no exception. To choose the best VPN for Windows you should ensure you consult up to date guides such as this one so you can make sure you’re getting the latest information relevant for 2018. It’s often the case that the best Windows VPN client in 2017 is no longer the best in 2018 so using outdated sources of information can be detrimental to your choice. We tested a whole host of VPN services to find the Best VPN for Windows in 2018. While we recommend NordVPN, any of the five listed above will be suitable, just go ahead and pick one. Yes, incredibly easy. In fact, Windows is probably one of the easiest systems to use a VPN service on. All five providers recommended above offer what is known as “custom” VPN clients for Windows. Basically this means they’ve created a special app for Windows to help you get connected. There is no complicated set-up involved. Once you’ve signed up to one of the providers above, you can download their Windows VPN client from their apps area and install it. It’s simply a case of logging in and then selecting a server you want to connect to followed by pressing Connect. It couldn’t be easier. If you don’t want to use the VPN service’s Windows VPN client then it’s possible to set a VPN service up manually. Most of the providers above will allow you to access configuration files for OpenVPN so if you have OpenVPN installed on Windows you can use the service config for the server you want to connect to. L2TP and PPTP VPN protocols can be set up on Windows directly without the need for any additional software. You’ll find the required settings on the VPN provider’s website. However, it’s worth remembering that PPTP isn’t a secure VPN protocol and is useful for nothing more than accessing blocked content or streaming. 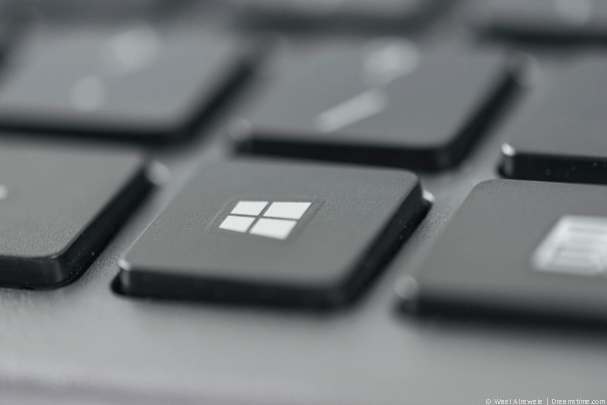 No, although we’ve looked at the Best VPN for Windows in this guide, all five recommended providers also work with other systems. All of the providers allow you to use their service on between 3 and 5 devices at the same time. This can be a mixture of systems from Windows to Android and Mac to iOS. So after you’ve installed the Windows VPN client for the provider you signed up to, why not install it on a few more devices too? Choosing a VPN specifically for Windows in 2018 can be difficult and we know that. It’s the main reason we put this guide together. We wanted to cut out all of the bad providers and bring together a list of the Top 5 choices. 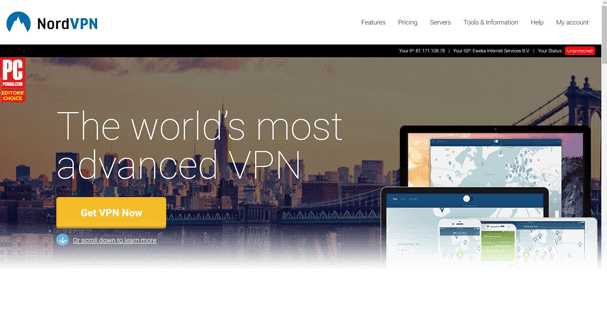 If you don’t have much time then we recommend signing up to NordVPN and you can save 30% off their service by using the code VPNCOMP and clicking this link. If you’ve got a bit more time on your hands then it’s worth checking out all five options above. In our opinion they’re the best for use with Windows. No matter which VPN you end up choosing from the list above, they’re all great for use with Windows in 2018 so you really can’t go wrong.